We look forward to making a great impact in the coming years all through out Africa with our partner David West. That was the first text message I received after returning to the locker room when the team I play for, the Golden State Warriors, won the 2017 NBA Championship. It was from Jerome Ringo, founder and chairman of Zoetic Global. It may seem weird that I had just won a championship, and someone was saying my best days were ahead of me. But he was right. Let me explain. During the summer of 2016, by chance, I bumped into Jerome in a hotel elevator in Ghana following my annual basketball camps in Africa. Jerome is an internationally recognized thought leader on global environmental issues and clean energy. He has led two of the largest environmental organizations in the world including the National Wildlife Federation and the Apollo Alliance. He notably served as an advisor to former Vice President Al Gore for the Climate Alliance and also appeared in the Academy Award-Winning documentary, An Inconvenient Truth. So in other words, he’s legit. After years of advocacy work, Jerome founded the clean energy company Zoetic Global, with the goal of directly addressing issues of global energy security by bringing technology solutions to leaders in the developing world. We refer to that elevator run-in as the “divine meeting.” In those few moments, I felt compelled to share with him a heart-breaking story that had weighed heavily on me for some time. A young soccer player who I had the pleasure of meeting during one of my trips to Ghana suffered a stress-fracture in his foot and ultimately lost his life due to an inadequate amount of electricity at local hospitals. What appeared to be a friendly conversation between two strangers changed my life forever. It was then that I discovered a new purpose and mission for my career. 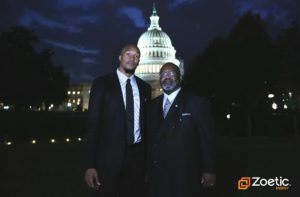 I have always used basketball as a tool to reach and educate young people. Now I wanted to use the game to educate and bring awareness about the lack of access to energy and clean water in Africa and other countries around the world. I wanted to engage the next generation of world leaders to help provoke change in the future. I found out that a staggering 1.2 billion people on the planet live each day without access to electricity. 600 million of those individuals reside in the countries of Africa alone. In 2016, I made an initial investment into Zoetic’s Series A round for $250,000 and it felt like one of the smartest things I could do with my money right now. The investment was long-term and gave me the ability to participate in the expansion of renewable energy globally, providing me with the opportunity to learn, participate and build my knowledge of renewables, project development, finance and global business development. Counting more than fifteen years in the NBA and playing in more than 1,000 games, I have been privileged to experience many memorable moments under the bright lights of arenas around the world. A simple flip of a light switch, a luxury that we as Americans so often take for granted, has provided much of the world’s population, including my teammates and I, the opportunity to pursue our dreams. During the 2017 off-season, I traveled to Africa several times to speak with heads of state, meet the President of Ghana and the Ministers of Energy and Sport and continued to host basketball clinics for the youth of Ghana and Mozambique. Because that $250,000 isn’t enough. Today, I am proud to say that I serve on the corporate advisory board for Zoetic Global as an ambassador and brand developer for strategic outreach and brand development. Each day, I am reminded of how fortunate I am to have the opportunity to combine two of my passions to help improve the daily lives of people all over the world. I may not know how many minutes I have left to play in the NBA, but I do know that every time I step on the court, it’s for a cause bigger than me. 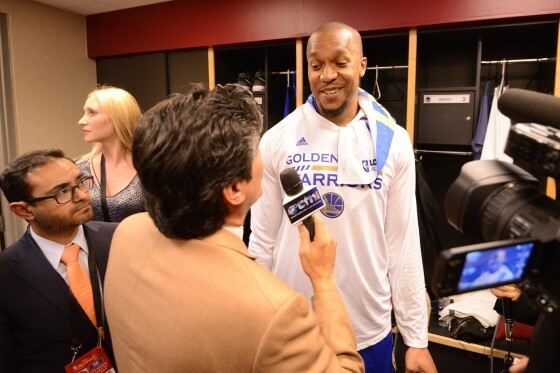 David West is a Two-time NBA All-Star, 14 year NBA veteran and a forward for the Golden State Warriors.